It’s Going To Be All About Goat Meat In 2019! Paying close attention to all the latest trends where food is concerned is a sure-fire way to impress everyone at your next event and show that you’re at the forefront of the foodie sector… if you want people to talk about the food and nothing else, then giving them something unexpected and new will certainly achieve this. So, with that in mind, you might want to consider serving up a few goat-based dishes as, according to BBC Good Food, this is set to be one of the biggest food trends of 2019… and it’s definitely a great place to start! This kind of meat is, in fact, a staple ingredient in Asian, African and South and Central American recipes, so you can have a lot of fun putting your menus together, safe in the knowledge that you can use goat as the star of so many dishes that your offerings will never get tired. It’s a very tender meat and very versatile with it, with lots of different ways of cooking it. Slow cooking is brilliant for goat because it soaks up all the flavours, giving it a real wow factor, but it’s also got a very robust flavour of its own, which is perhaps why it’s growing in popularity at the moment. 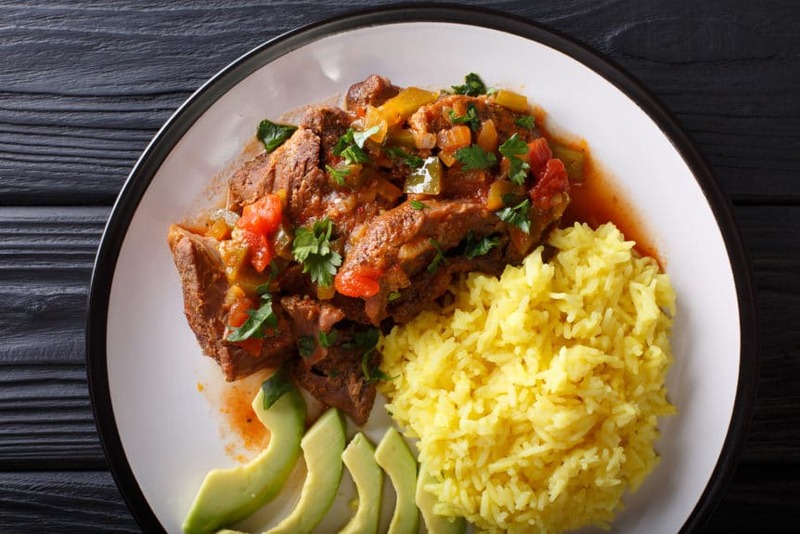 Because it works so well in curries and stews, it’s a brilliant way of feeding a crowd so if you’d like to keep costs down while still cooking to impress, check out a few goat recipes and see what can be achieved. What about this goat biryani recipe by British Bake Off winner Nadiya Hussain? It comes topped with a fried duck egg and lots of delicious coriander on top – but no matter if you can’t get your hands on goat because it’ll apparently work well with a cubed leg of lamb instead. If you’re not so keen on the idea of serving your guests goat, take a look at the rest of the list of foodie trends for 2019 to see if there is something there that sparks your interest. Sri Lankan cuisine is apparently tipped to be big news this year, as is Burmese food, so perhaps do some research into these instead. As for drinks, rum is where it’s going to be at over the next 12 months so make sure you include this behind the bar at your next event. You could have an awful lot of fun coming up with some exclusive cocktails, created especially for your party, to really impress friends and family. We’d love to hear what you’ve got planned food-wise for your next big event, so get in touch with us here at Yorkshire catering business Samba Catering today to let us know what you’ve got in the pipeline for 2019.